We don't just do heated clothing! Welcome to our 2018 Cooling Vest Guide. At My Cooling Store, we have cooling vests available for a range of activities and uses. These use the natural process of evaporation to cool you down. 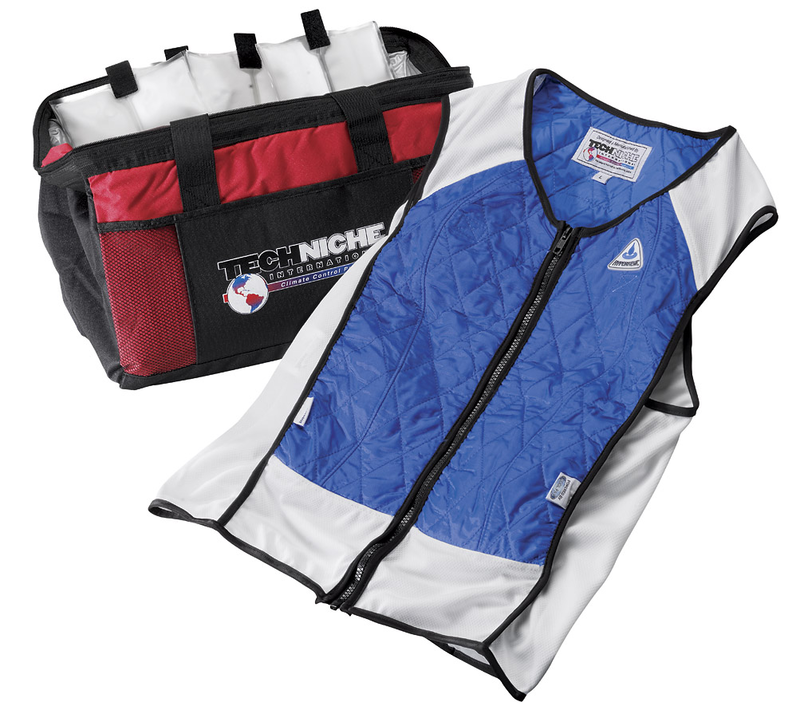 When these vests are placed into water, the specially made non-toxic cooling crystals or specialized cooling fabric absorbs hundreds of times their weight in water. This stored water is then slowly released by the process of evaporation. In hot conditions, this water will start to evaporate. As it does, the heat from the wearer is transferred into the air helping to reduce your temperature. Available as shirts, vests and even pants! The best brands available are CoolShirt, Veskimo and Kewl Flow. These vest will either feature both evaporative and phase change cooling technology or they are specially designed to provide you with cooling comfort and maximize athletic performance and/or stimulating weight loss. These vest will feature a set non-toxic and freezable inserts. It is also made of evaporative materials that can be utilized when one is unable to refreeze the cool packs. This vest uses the same specially made non-toxic absorbent cooling crystals or specialized absorbent cooling fabrics featured in the most evaporative vest.